This is purportedly a real image, but it's just too ridiculous to believe. 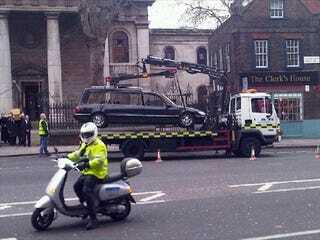 Come on, a hearse being hoisted onto a flatbed for illegal parking as the funeral procession emerges from the church? If it's real, we'll feel bad.